A good quality CPU cooler is a great investment for any computer owner, PC builder or gamer. Keeping the CPU adequately cooled will ensure reliable and efficient performance of the PC even whilst running intensive applications including extreme games. 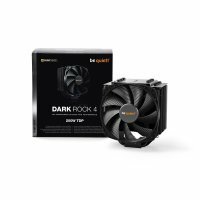 Here at Ebuyer.com we have a great range of coolers from the best manufacturers in tech including Coolermaster, StarTech and Xilence amongst many others. These are self-contained cooling systems and can be either air or liquid cooled. Many, including those from Corsair, will have their own software to ensure optimal performance. An important consideration when choosing a CPU cooler is noise. However most new coolers are very quiet and more-or-less silent. Making sure the CPU cooler will fit in your computer case is of course pretty fundamental. Check the surface area and thickness of the radiator and the size of the fan to ensure a snug fit. Also check the socket compatibility of the unit and the fan speed. 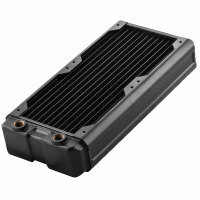 Look through the wide range of CPU coolers we have on offer here at Ebuyer. Order today and take advantage of the great deals we always have available.